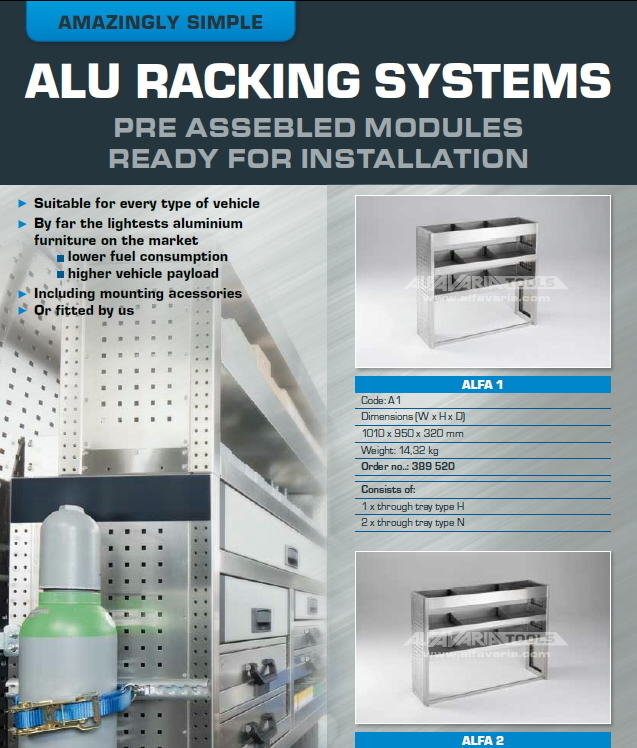 We prepared for you pre assembled modules for every vehicle type, prepared for immediate installation into utility space of your vehicle. Be inspired by our offer of prepared modules which are based on the most common requirements from our customers. In case of an interest we are prepared to perform a professional installation. Which module is suitable for your vehicle? See detailed guide that will tell you which module can be used for which type of vehicle. Why workshop built-ins from ALFAVARIA Group?